As far as I know Jim Norris never meet Greg Smallman. 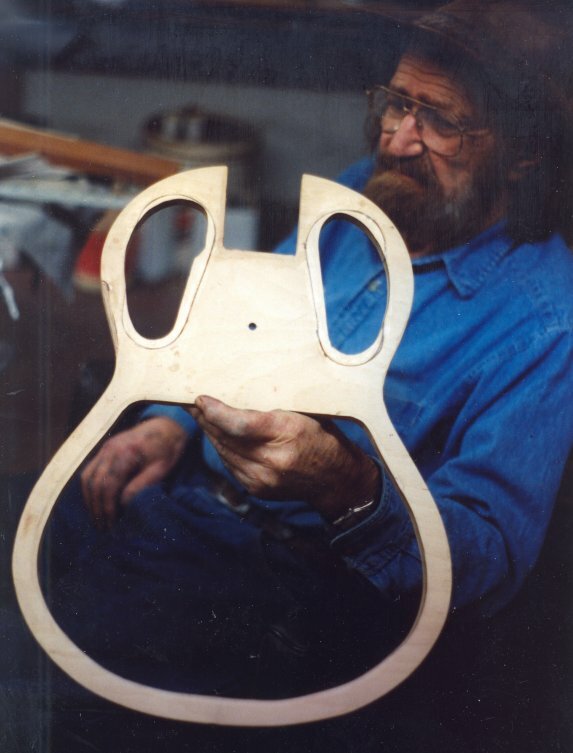 Jim did admire the Smallman guitars of his close friend John Williams. 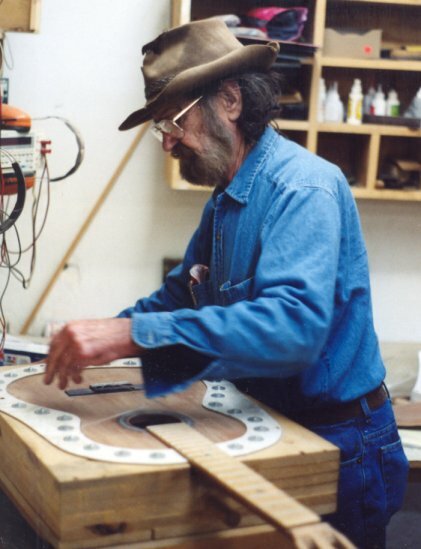 Jim studied guitar with John's father Len. 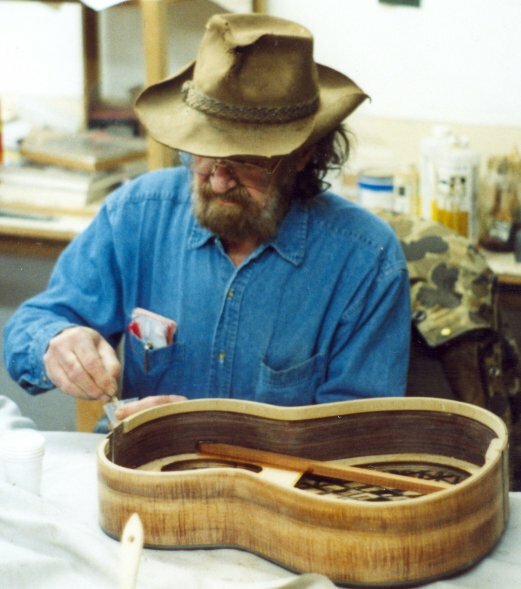 The photo to the left shows the Smallman influence on Jim's work. 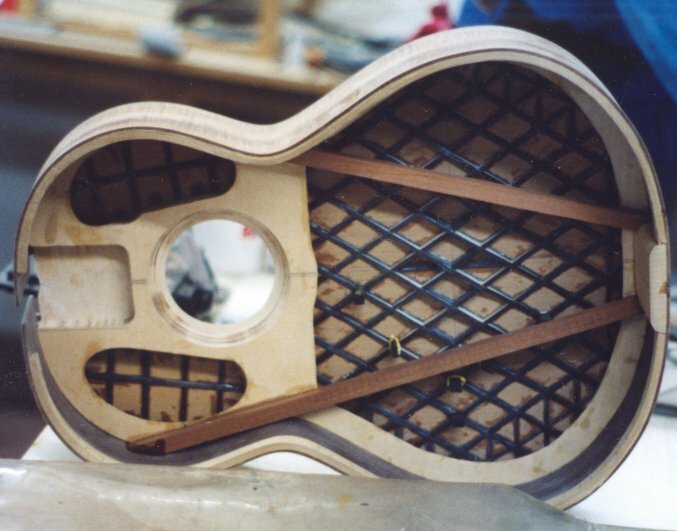 I suppose you could call it the "Norris" lattice. 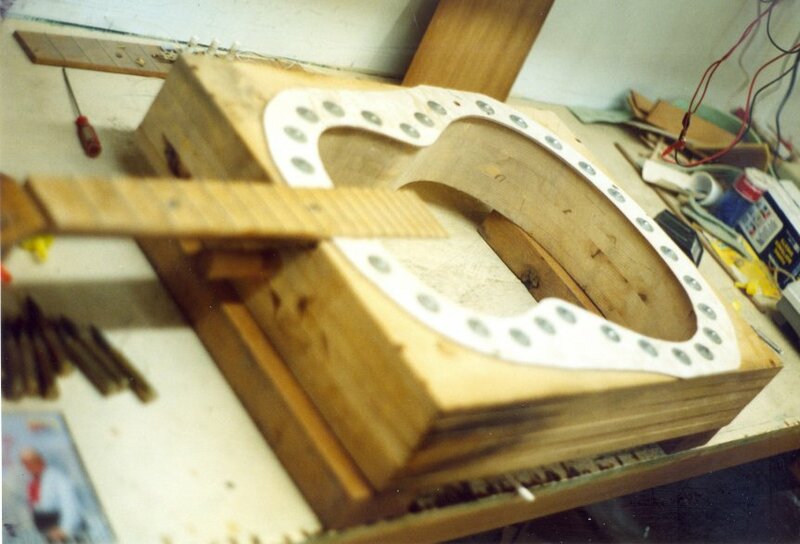 On this web page we will explore some of the work that goes into building the "Norris Lattice" guitar.All the photos of the guitars under construction have been used by permission of Brent Benfield who visited Jim shortly before he passed away. 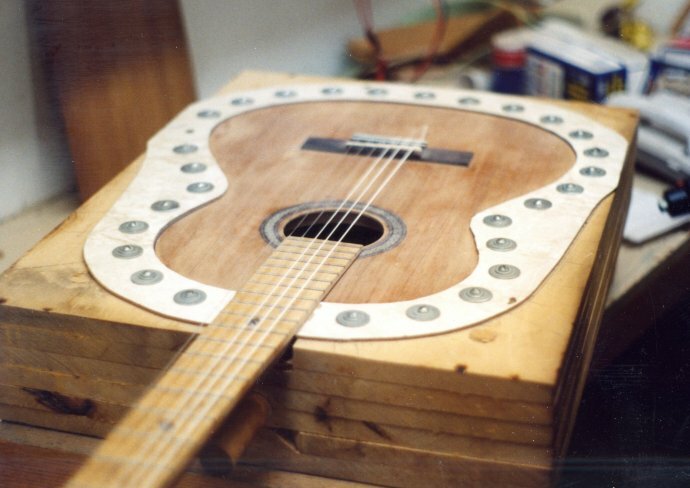 Jim also taught guitar making. Hopefully we can get some of his students to submit some contributions to this web page. 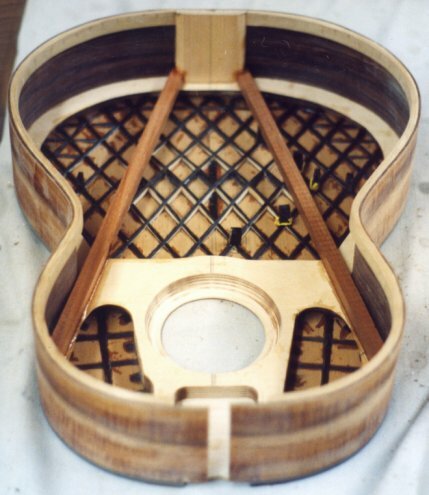 Here is a look into the inside of the Norris lattice braced guitar. 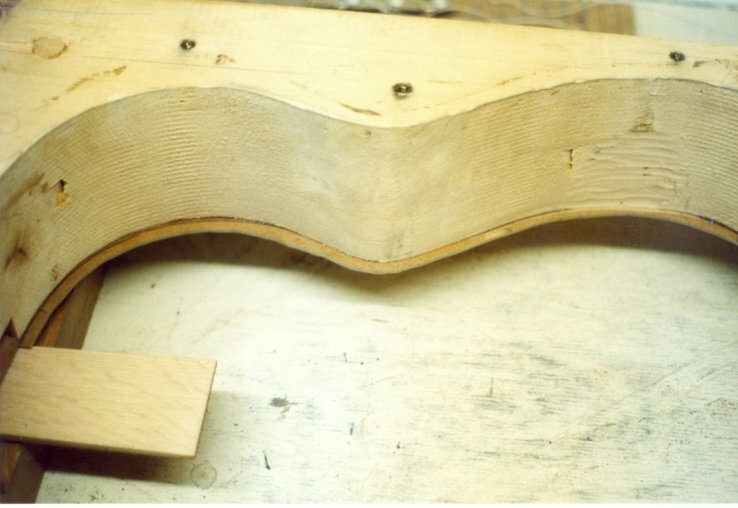 The top is attached to this multi-ply ring that really stiffens up the sides.